Sport outfit fro H&M looks nice, the rest is just fab! amazing stuff! Love the coral coloured shorts! Love your selction, Carmen! My plans for this month is finish to organize my wedding party! 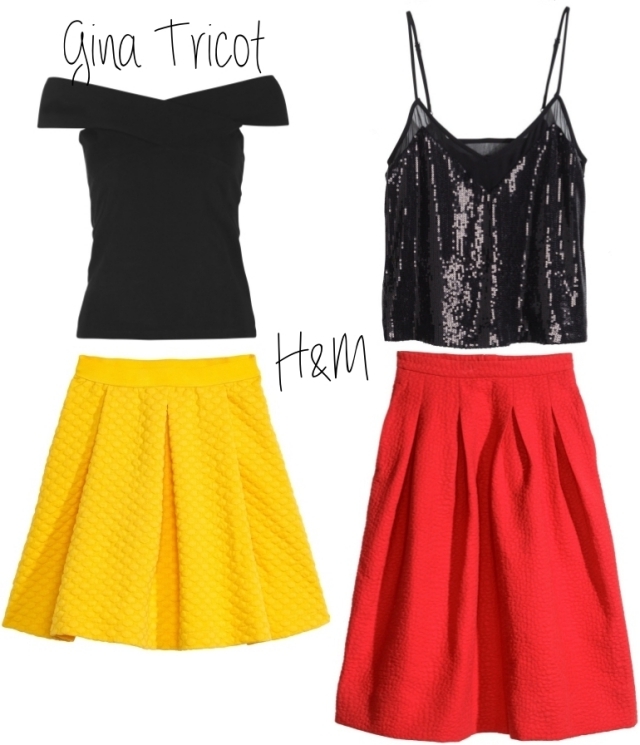 Beautiful pieces!My fave is the Gina Tricot dress.I want it! I really like that white & orange skirt! Love the red skirt and striped jacket!! Such nice must haves. I would know what to get first. The black and white coat is my favourite item. This month I will be travelling to Cologne, perhaps Liege, certainly Berlin and Copenhagen. It's going to be busy! 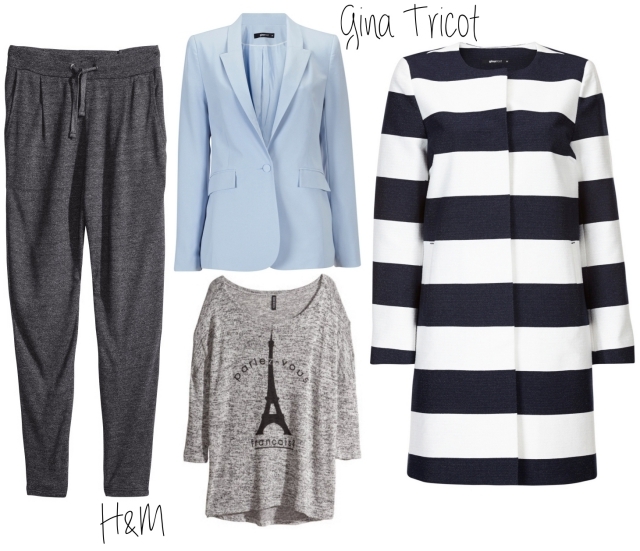 Gina Tricot hat ja echt tolle neue Sachen! I love those two dresses with the lace details. So pretty. I'm purchasing some shorts and new sandals. Would love some dresses and skirts. Ohh der Streifenmantel lässt mein Herz hüpfen! Aber auch der hellblaue Blazer und und und! Ich liebe die Dinge die Du zusammengestellt hast und würde die am liebste direkt so bestelllen und anziehen! Einen überaus guten Geschmack beweist du da! These are very stylish selections Carmen. Love the grey mixed with the pastel blue and those colour skirts are so stylish.